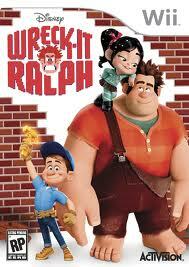 “Wreck-it Ralph” needs to be permanently unplugged. Taking place directly after the movie, the arcade is invaded by the Cybugs from “Hero’s Duty.” It’s up to Ralph and Felix to stop them. That’s all the story the game will give you. This is only the first of many pitfalls the game has. The next pitfall is the levels and their design. There are a total of twelve levels split into the three main game worlds from the movie, “Fix-it Felix, Jr.,” “Hero’s Duty” and “Sugar Rush.” Despite taking place in different worlds every level has the same basic design with only a palette swap. Not to mention every level plays exactly the same with the same objective. There is no gameplay variety whatsoever. Speaking of variety, the player will be fighting the same three enemies in every level. Despite being able to play as two characters, Felix will be used 95% of the time with Ralph only being used when he is needed. It’s a shame because both characters need equal time, but Ralph is so useless and controls so horribly. In one of the weirdest programming designs ever, the only way to fight the game’s four bosses is to complete all twelve levels. How that made sense to Activision is a mystery. Not to mention that all the bosses look exactly like normal enemies and are as easy as the regular levels. Ralph doesn’t just control horribly, Felix also doesn’t control that well. The controls aren’t responsive, the jumping feels awkward and there is no reason that the only control scheme is the Wii Remote/Nunchuck combo. The game fails visually as well. The graphics are low resolution even for the Wii, and just everything looks unappealing and boring that it is an insult to the movie which looks beautiful. To put a cherry on the crap sundae, even if you look for all the literal Easter eggs and medals, the entire game can be completed in ninety minutes. Activision even had the common courtesy to add a New Game + with a harder difficulty, no checkpoints and timed levels. That isn’t enough to entice players to play this game a second time. “Wreck-it Ralph” for the Wii is a travesty to gaming with poor visuals, level design, gameplay, story and controls. It is obviously that this game was released in order to cash in on the movie’s hype. Avoid at all costs.